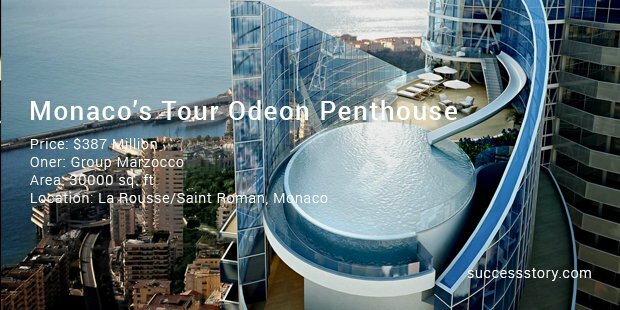 Located in Monaco, this is a multi-story penthouse that spreads over an area of 30000 sq. ft. and has features like a waterslide into a pool, 2 sky duplexes, a lounge area as well as a room for watching movies. 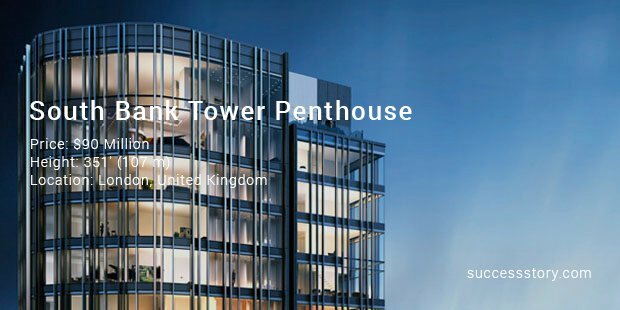 Hyde Park is another most expensive penthouses in the world. This one spreads over 17000 sq. ft. which cover 5 bedrooms, study rooms, a wine tasting area, private study area , floor to ceiling windows, British special forces security service and even a Panic Room. Luxury gets a whole new meaning when it comes to Pierre Hotel Penthouse, located inside Pierre Hotel. 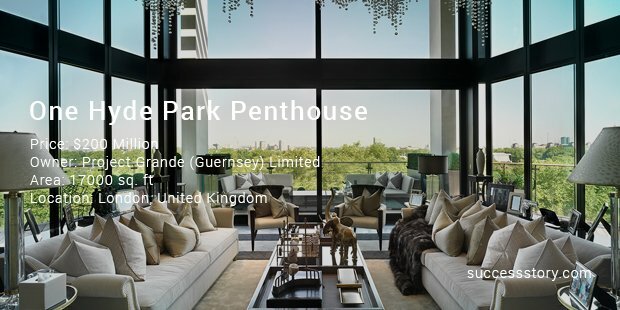 Covering 3 floors and 12000 sq ft, this penthouse has stunning features, spacious rooms and an attractive staircase which connects different areas of the residence. Spreading across 3 floors, this is another penthouse which redefines high-class living. 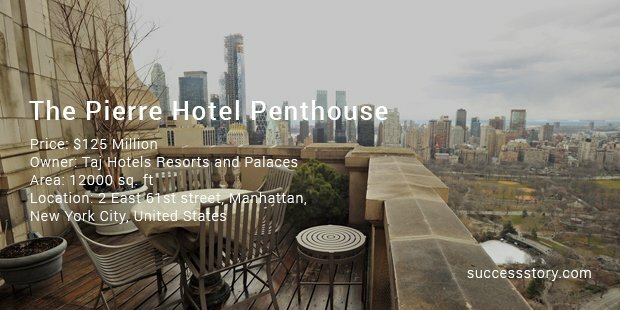 With multiple rooms and bathrooms, the penthouse is a combination of modern day facilities and superior levels of comfort. This is a triplex penthouse which has 2 roof terraces and offers amazing views of the London city. It has a large sized swimming pool and will be equipped with many other luxury features. 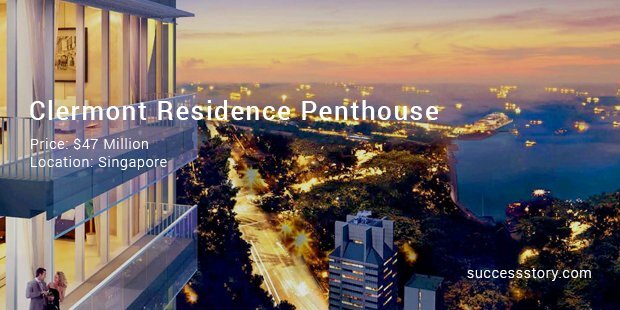 This penthouse is still under construction and will offer its owners many facilities such as indoor lap pool, a small theatre room, a pool deck on the outdoors, a sky gym and a private elevator. 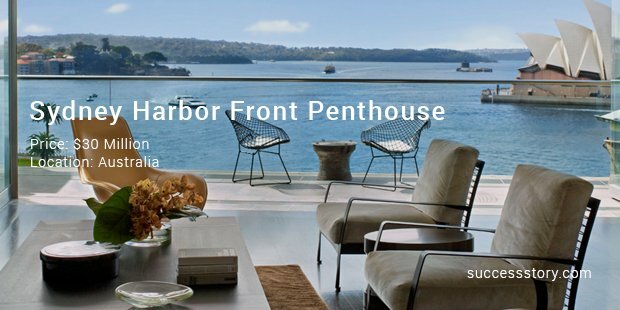 Tagged as the most expensive penthouse in Australia, this spacious living space spreads over a large area. 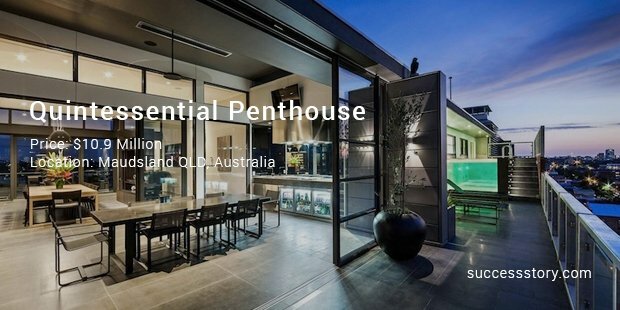 This penthouse houses everything that you can imagine in a house and even has its own wine cellar! This is a 3 story penthouse which consists of 2 terraces and a staircase which provides access to all the rooms. 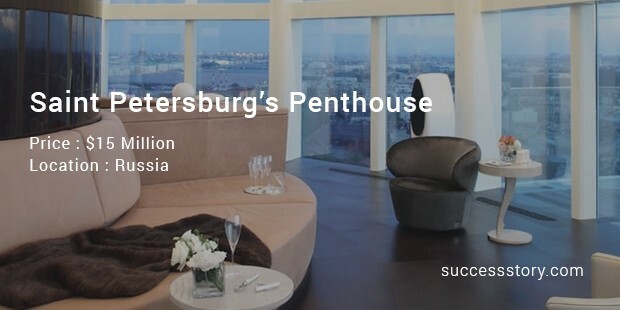 This is Russia’s most expensive penthouse and is located in the heart of St. Petersburg. 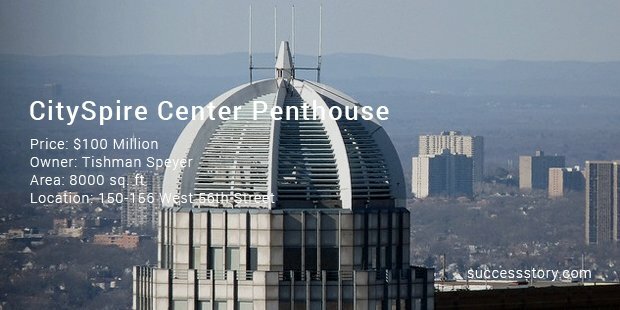 This superbly designed penthouse is located in Los Angeles, California and consists of 5 bathrooms, 4 bedrooms, spiral staircase, multi foot ceilings, windows made of glass and a master bedroom with 2 bathrooms, large sized balconies and a servant’s quarter as well No surprise that it is valued at $10.9 Million. 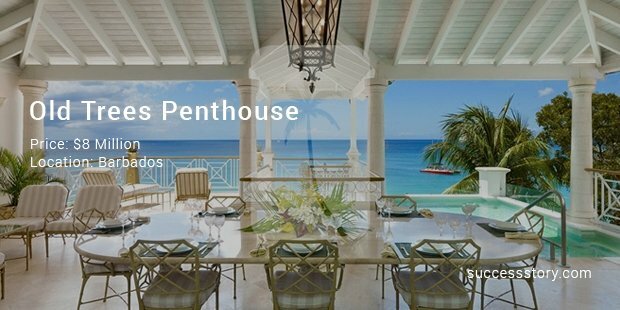 Located in Barbados, this is the 10th most expensive penthouse in the world. It is a three story living space which overlooks the white sandy beach of the country. It has 4 large bathrooms, 4 bedrooms, and a spacious fully air conditioned living room and amazing interiors.